President Erdoğan and US President Trump also shared commitment to combatting terrorism in all its forms. 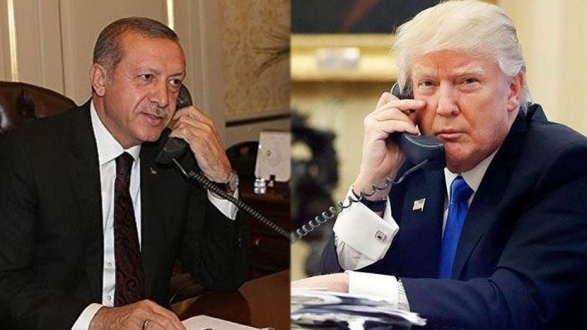 President Recep Tayyip Erdoğan had a telephone conversation with US President Donald Trump. President Erdoğan wished US President Trump success during his term as the President and the two leaders stressed that Turkey and the US are two friendly and allied nations always connected to each other with links of alliance. President Erdoğan and US President Trump also shared commitment to combatting terrorism in all its forms. US President Trump reiterated his country’s support to Turkey as a strategic partner and NATO ally, noting that they welcome Turkey's contributions to the fight against DAESH. Respectfully announced to the public!